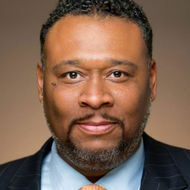 Terrell Richmond is the President, CEO of NYMBUS, a management consulting firm that provides strategies and solutions for optimizing public-private value streams. Having spent 20 years as a senior executive, speaker, consultant and entrepreneur, he is an expert in leveraging the intersection of policy, innovation and human capital. A new report by NYMBUS Holdings highlights immediate and measurable steps to close the diversity gap in Washington DC’s solar marketplace to address the underrepresentation of minority and women-owned businesses at every level of the solar supply chain.